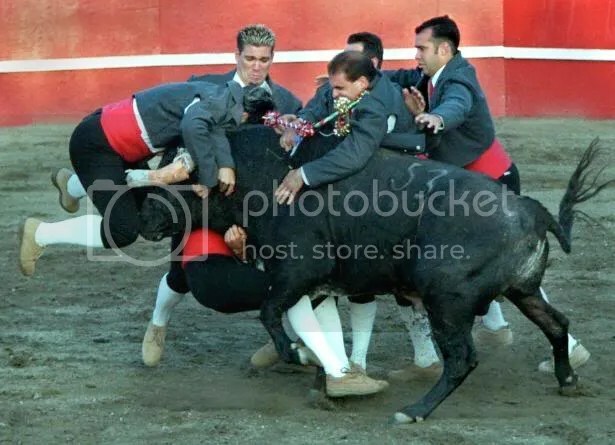 Sometimes it takes more than one matador to take down a bull. Sometimes it takes about 5. Or 6. Based on the picture above provide us a caption to best capture what is happening. Next Next post: Kid Rock!! !